Today in Apple history: Happy birthday, Steve Wozniak! August 11, 1950: Apple co-founder Steve Wozniak is born. While Steve Jobs may be the most admired Apple figure, Woz might be the most well-loved by fans. In addition to his most famous creation, the Apple II, Wozniak is also responsible for imbuing Apple’s products with his fun-loving personality. Compared with the prickly Jobs, Wozniak always proved more relatable to tech geeks. Whether you viewed Jobs as a glorified salesman (a common misconception during Apple’s early years) or a cool hippie who dreamed of going off to find himself in India, Woz was more clearly one of us. He embraced the rebel hacking mentality of Silicon Valley’s hobbyist Homebrew Computer Club, where he and Jobs showed off the first Apple computer. Later, despite having played a key role in inventing the personal computer — most notably with the revolutionary Apple II — Woz spent his fortune having fun instead of trying to take over the world. At Apple, he once sneaked into a colleague’s cubicle and put a live mouse inside his computer. Then Woz watched as his co-worker became more and more confused by the odd squeaking sounds coming out of the machine. 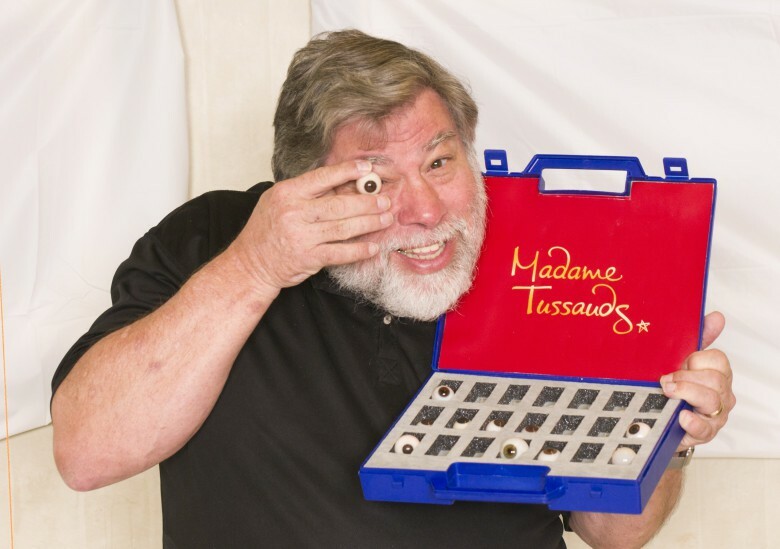 Today, the kind of geeky in-jokes that Woz loved are instantly recognizable as nerd culture. However, distilling Woz’s humor and good-natured persona into Apple’s computers and marketing made the company feel very different. Especially since this somehow happened in the pre-internet era. Woz was the geeky yin to Jobs’ polished yang. Inside Apple, Woz served as a peacemaker. He stuck up for people in a way that has never been forgotten. When Jobs began barring certain early employees from stock options for reasons few could understand, Wozniak objected. Woz gave away some of his own Apple shares to employees who otherwise wouldn’t qualify. When Apple went public in 1980, Woz took home $100 million less than Jobs as a result. Finally, Wozniak was a damn fine engineer. The Apple II is the computer he’s most associated with. But perhaps his crowning achievement was the Disk II, Apple’s first 5.5-inch floppy drive. Created with 17-year-old Apple employee Randy Wigginton over Christmas 1977, the Disk II massively increased the functionality of Apple’s popular personal computer. It was also the first example of Apple’s continuing high-margin business model. Disk II cost just $140 in components, but sold for $495. Woz still makes his presence felt in the tech community, although he’s been largely absent from Apple for years. Much of his continuing presence revolves around fun, nerdy pursuits like making cameos on The Big Bang Theory, becoming a Tetris world champion, whipping out some dance moves on Dancing With the Stars and expressing continued enthusiasm about Segways. But Woz has also continued to speak out about what he views as the utopian mission of technology, whether that means asking Apple and Google to put aside their differences for the greater good or urging the Federal Communications Commission to keep the internet free.